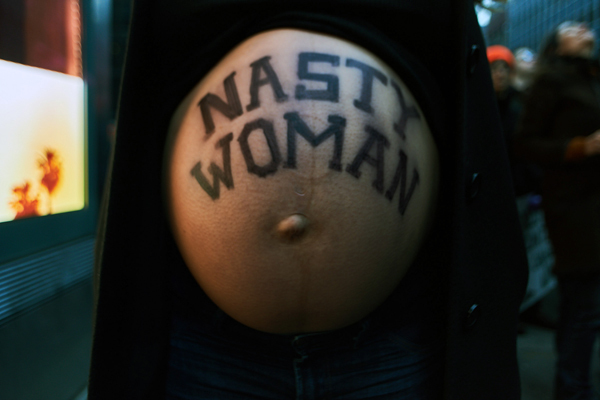 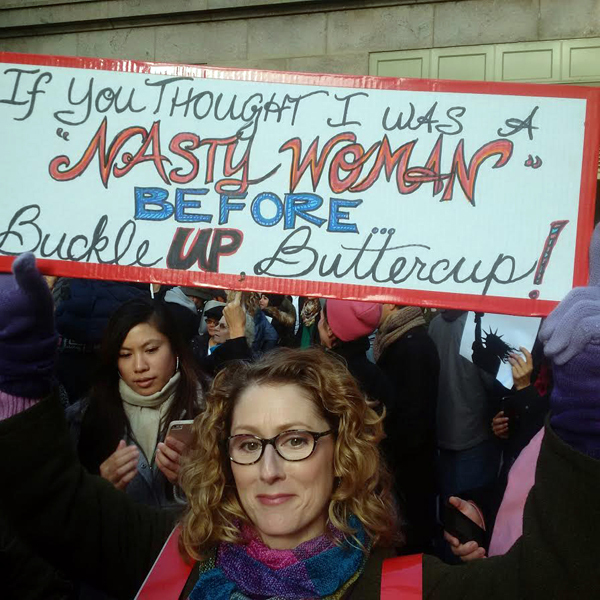 A day after Donald Trump was sworn in as the 45th President of the United States, hundreds of thousands of women descended upon Washington, D.C. on January 21 to rally for the protection of rights for women, immigrants and people of all races. 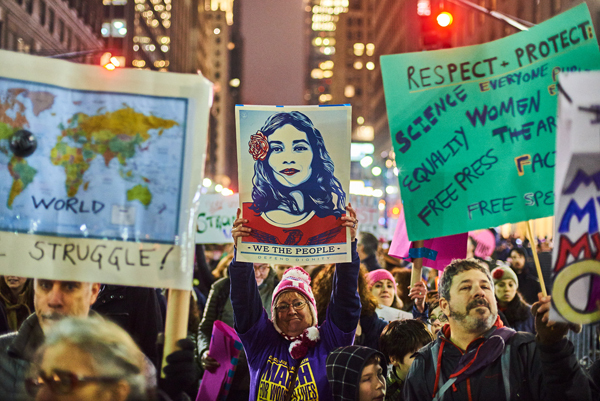 Concurrent marches also took place in New York City, Boston, Los Angeles, Seattle, Atlanta, Denver and in other cities around the world. 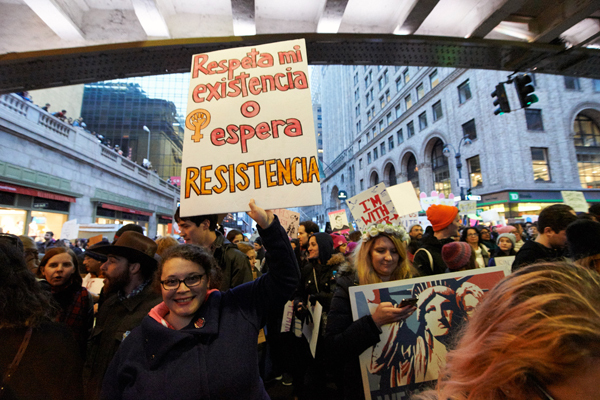 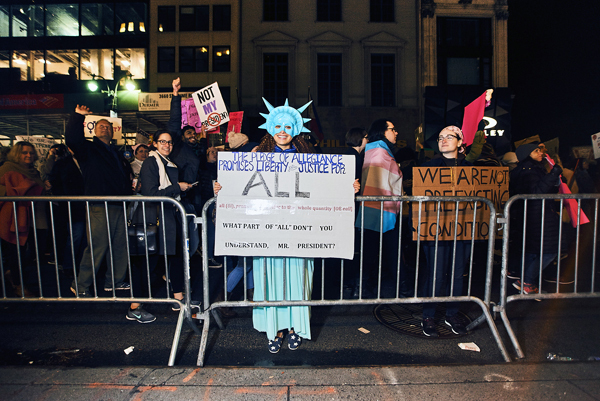 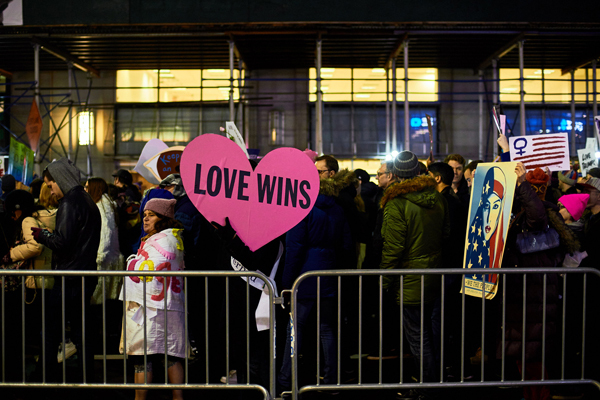 Many participants carried colorful signs in various languages or wore pink “pussyhats” which served as a unifying act and indelible image of the day’s events. 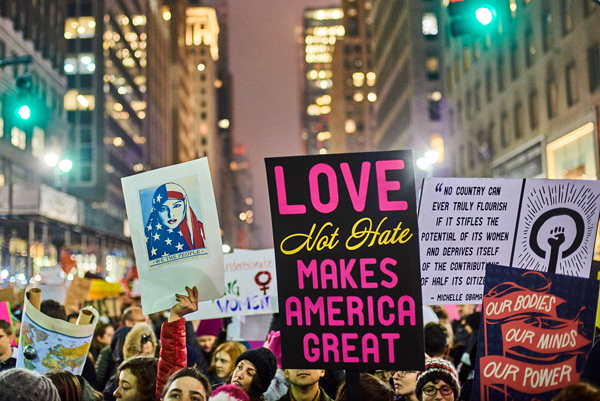 Chants calling for Donald Trump to go, urging support for public education, and declaring “This is what democracy looks like” rang out along the way. 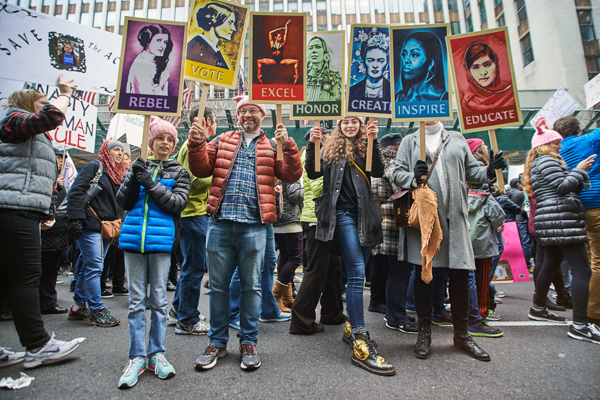 In New York City, more than 400,000 people marched through midtown Manhattan, according to estimates from the Mayor’s Office.